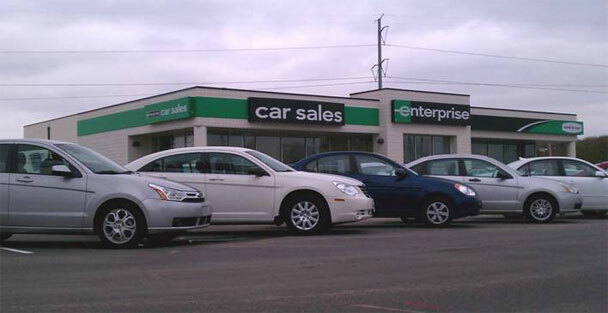 Enterprise Car Sales – New Location! We just moved into our brand new facility on 75th and L! We are planning a member appreciation day for the near future and we would like to invite you all down for a visit. Please feel free to stop in at anytime as well, we look forward to seeing you soon! Become a Fan of Better Your Money on Facebook or Follow Us on Twitter! Stay connected and up-to-date with everything new at Better Your Money with Facebook and Twitter! To become a fan of Better Your Money on Facebook, visit www.facebook.com/pages/BetterYourMoneyorg/223015188278 and click the “like” button. Better Your Money posts will show up in your news feed, so you’ll always be in the know. For those of you who prefer to tweet, follow us on Twitter at www.twitter.com/betteryourmoney. We’re always updating with news articles, upcoming events, and more! Not a member of either site? It’s free to join! Sign up at www.facebook.com and www.twitter.com. VINtek reported 30% annual revenue growth in 2010, double its revenue since 2008. For more information on all of CUNA Mutual’s available webinars, visit www.cunamutual.com/education. CUNA Mutual is offering a series of free Discovery Webinars on issues impacting credit unions. At the next Webinar scheduled for April 18, CUNA Mutual Group vice president of Lending Dan Kaiser will present The Road Ahead: Making the Most of Every Lending Opportunity. Register at www.cunamutual.com/lendingwebinar/article. CU Protection Webinars — These complimentary events are open to CUNA Mutual Bond policyholders. Go to www.cunamutual.com/CUProtectionWebinars to register. Sign-in required. Loan Generation Marketing Webinars — These webinars are complimentary and open to all credit unions. Go to www.cunamutual.com/growloans to register. Confused about Multi-Featured, Open End Lending? Recent changes to multi-featured, open-end lending (MFOEL) resulting from modifications to Regulation Z have led to MFOEL-related discussions in the credit union marketplace. Myths and misunderstandings abound about the impact of the regulation changes, and the complexity of the regulations makes it virtually impossible to make general statements to solve every compliance question in the marketplace. CUNA Mutual has created a MFOEL best practice worksheet to aid customer credit unions in preparing for an NCUA examination or upon receiving examination observations and recommendations. This worksheet outlines available NCUA best practice information, provides CUNA Mutual’s comments on each best practice and includes an area for credit unions to identify the policies and procedures they’ve put in place for each one. Additional resources continue to be available in the MFOEL Tool Kit within CUNA Mutual’s Lending Resource Center. Customer log-in is required. Peer Data – See how you compare to credit unions of similar size on coverage deductibles and limits. Board.edu – Short, concentrated training sessions specifically for board members are perfect for your next board meeting! Simply put, transparency is something credit unions deserve as a CUNA Mutual customer. And when we manage and perform well, we create financial strength that benefits the entire credit union system.